Captain Ben Wolfe with SportFish Michigan gives his report for the Michigan area waters during the beginning of July, 2016. Bass fishing in Northern Michigan can be wonderfully rewarding. 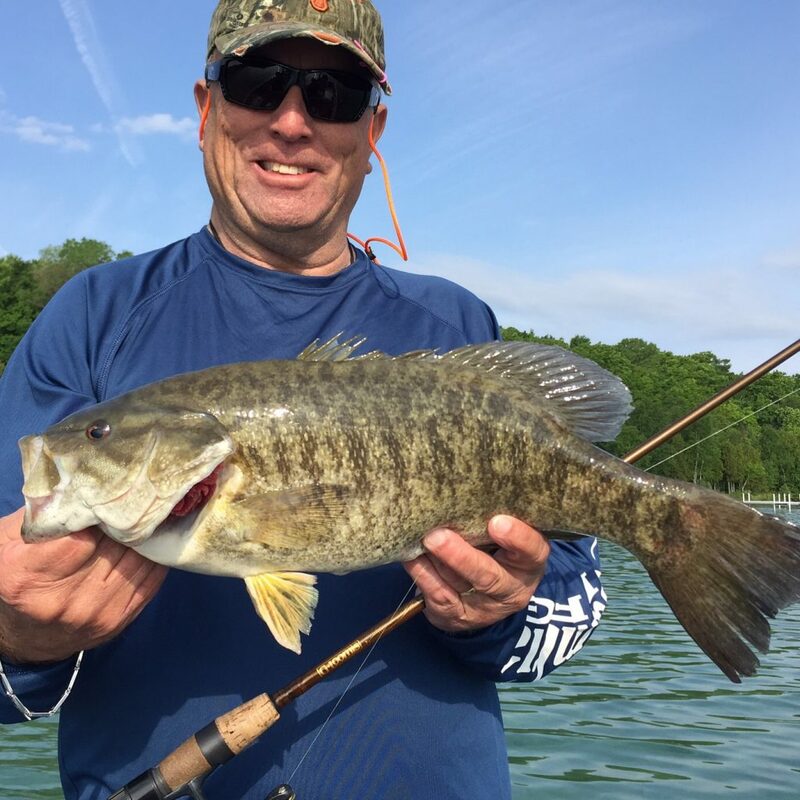 The smallmouth bass are in a summer pattern during this time. On inland lakes, early morning and dusk are prime times to target bass using topwater lures. Toppers and walking baits are the primary go-to choices for topwater action at this time of the year. As we experience the Mayfly hatch early in the month, and then tapering off as the month progresses, most bass action on the inland lakes will revolve around these insect hatches. Deeper weeds and sharp break lines will hold fish all throughout the month. 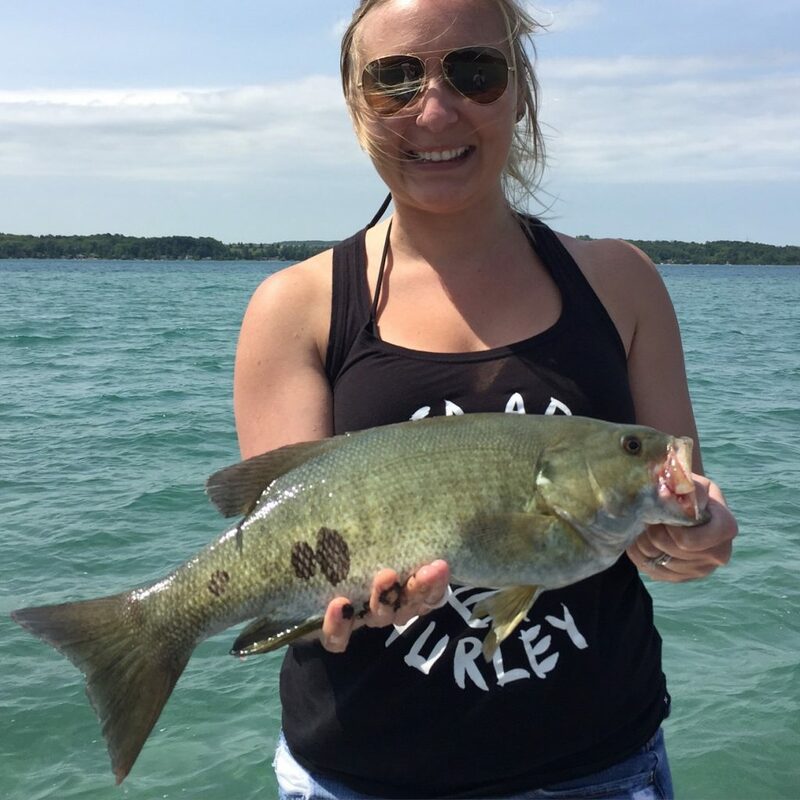 Grand Traverse Bay has excellent smallmouth fishing in July, as most of our fish are in a post-spawn and early summer pattern. Rocky flats adjacent to deep water will be key areas in which to look for smallmouth bass this month. Spinnerbaits and crankbaits on windy days can be very effective. On calmer days, drop-shot rigs and soft plastic jerkbaits are excellent options. As the month progresses, bass will transition deeper in the water to their summer locations. A drop-shot rig is a great option for targeting deep-holding bass. Boat ramps are more crowded this time of year, as are the waterways. Patience and courtesy with other boaters should be taken. We are all out trying to have a good time on the water. Stay safe, have lots of fun, and enjoy our beautiful Northern Michigan waters.